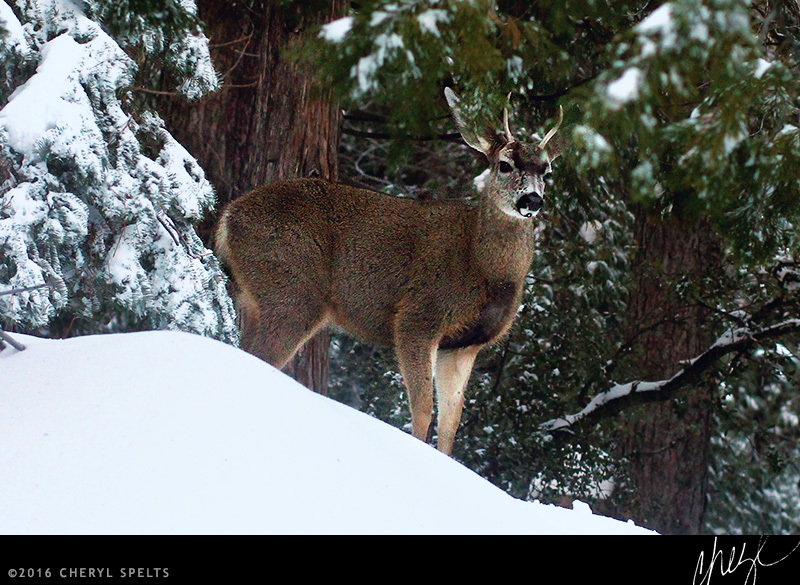 We usually don’t see much of the deer when it snows–they stay down in a meadow nearby. And we’ve got a lot of fresh snow right now, so I was surprised to see several of them in the back yard this morning. This little male is about about a year-and-a-half old now, and once he was weaned he stopped coming as often as the girls in his family. So it was fun to see him, and see how his once-nubby little antlers are developing!